Josh Miller, owner and founder of Prestige Renovations, is regularly featured on WDTN’s Living Dayton show, where he is the Resident Contractor and host of Josh on the Job. Josh shows us how you can make a neat picture frame by using things found in your back yard. Josh on the Job shows us how to give your fireplace a makeover. Josh is on the Job again discussing updating your outdoor space with a fire pit. Living Dayton resident contractor Josh Miller, owner of Prestige Renovations, is in the studio with some great painting tips to help put some color your life. Living Dayton Resident Contractor Josh Miller shows Katie how to patch drywall yourself without spending hundreds of dollars. 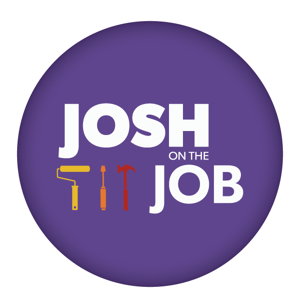 Resident handyman Josh on the Job joins Shaun to talk about updating your outdoor living spaces. Prestige Renovations, Inc. is a full-service residential remodeling firm based in Dayton, OH, founded by Josh Miller, an accomplished professional with more than a decade of experience. We are accredited with the Better Business Bureau, A.D.A compliant, and Medicare and Medicaid approved.